Adrian Fu is a Taiwanese-based Hong Kong singer-songwriter. He became famous when he produced Eason Chan’s “我們都寂寞”. He served as the person behind the scenes, producing music and it wasn’t until 2013 that he became a singer by signing under Rocks Record and officially made his debut in 2014. Adrian has been nominated for Best New Artist at this year’s Golden Melody Award. He only has one album so I will just link that. This week we’re going back to the Best New Artist category with Adrian Wu. 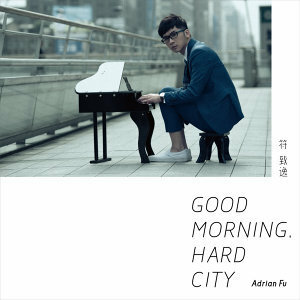 If he sounds familiar to you, you probably recognize him from “Good Morning, Hard City”, which was the theme song for the popular 2013 Taiwanese drama In A Good Way. He has a decent voice and the songs have some nice production to them but there isn’t much there beyond that. He seems like a talented guy and he has some good songs but the ‘wow factor’ isn’t there. “Good But Nothing Amazing” is the best way I can summarize how I feel about him. There is something lacking that keeps him from being something more. I usually don’t feature artists that I’m not a fan of and would personally recommend unless they are requested. This is an exception because I’m going through the GMA nominations. I do see why others might like him though and I have a feeling that he might win the Best New Artist category.